Lip pencils are taking over my makeup bag little by little. 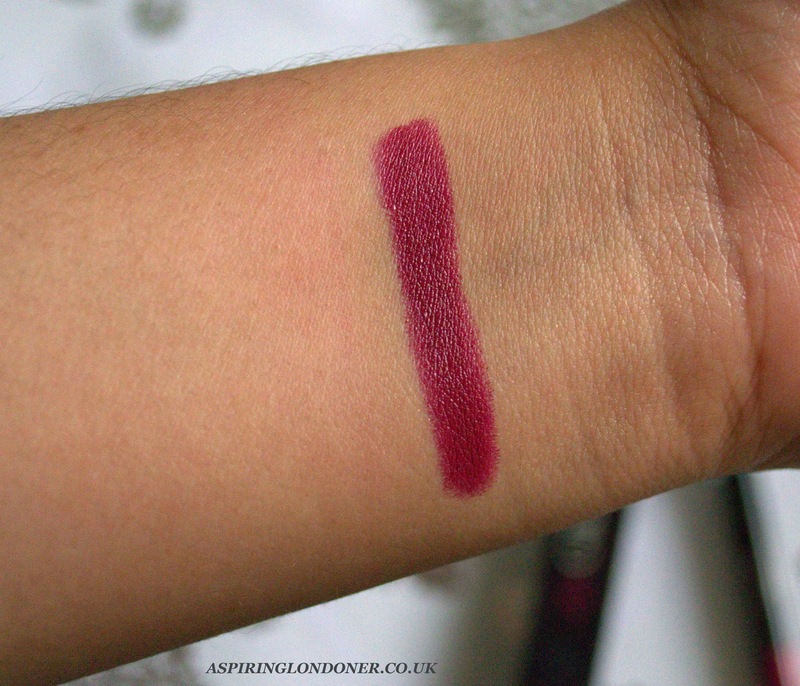 If you've been reading Aspiring Londoner for a while, you'll know my love for NARS Velvet Matte Lip Pencils. However at £19 a pop, they strain the old purse strings a little. I've been looking for something similar for some time that would be a little more cash friendly. MeMeMe Cosmetics Lip Glides (£6.95) may have answered my prayers! I have the shade Winter Berry which I've worn a few times in the past couple of weeks and it now permanently resides in my handbag. I really like the packaging as the size is perfect for keeping it in your purse or clutch, no matter how space constrained you are. The chunky pencils look much more expensive than they are. 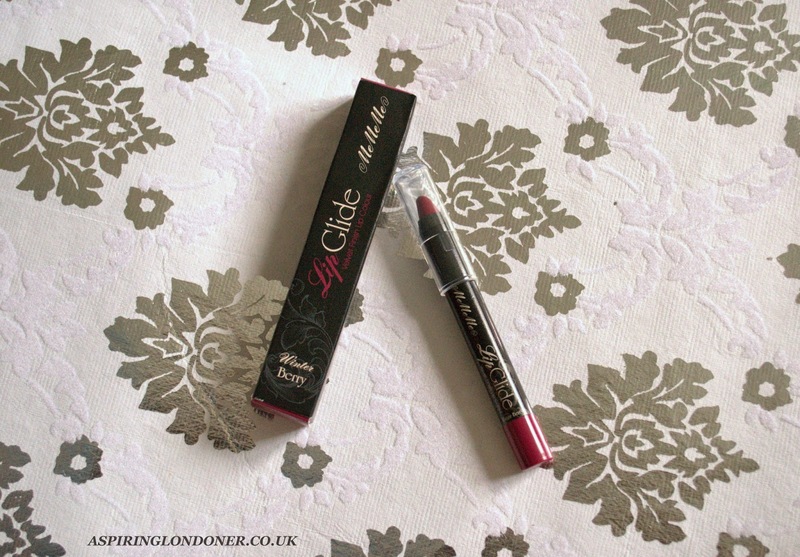 The formula of the chunky lip pencil are quite creamy and glide on nicely on the lips. They have a satin finish which means it's not drying at all. It doesn't last as long as matte lip pencils, but it's easy enough to reapply after 4 hours or so. Considering the price point, it's an excellent alternative for the more expensive lip pencils around! The creamy formula allows you to blend the Lip Glide pencils with other lipsticks/lip pencils. I've mixed Winter Berry with more pink toned lip pencils to get a lighter colour and they've blended perfectly. The MeMeMe Lip Glides come in five shades focusing more on pinks/reds. I hope they'll add more shades to the range as they're so easy to wear and makes it great for experimenting with colours without shelling out big bucks. The Lip Glides have been an amazing introduction to the MeMeMe Cosmetics brand. If their quality is as great as this, I can't wait to try more of their stuff! What do you think of the MeMeMe Cosmetics Lip Glide? Have you tried anything else from the brand? Recommend & share in the comments below or tweet me @aspiring_london!